Update: Qualcomm's board officially rejected the deal saying it "dramatically undervalues" the company. They are also not certain that the regulatory bodies will allow such a deal to go forward. Inside sources claim that Qualcomm’s board of directors will reject Broadcom’s offer to acquire the Snapdragon chip designer. The board has not made any official statements, but has allegedly met on Sunday to discuss the offer. Broadcom’s offer was for $70 a share – valuing Qualcomm at just north of $100 billion dollars (the deal would include $25 billion of debt). 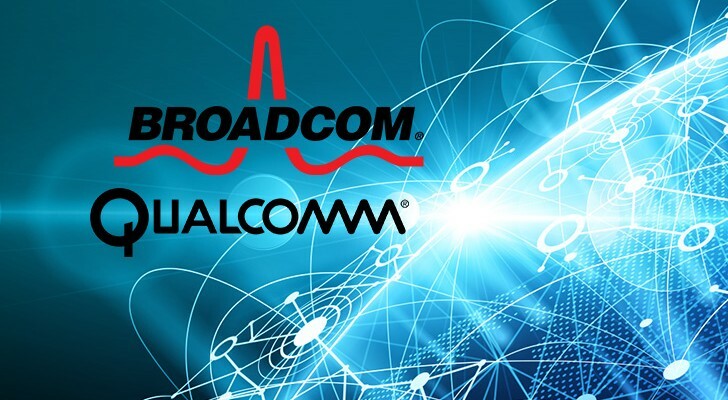 Qualcomm’s stock closed at $64.57 a share on Friday, however the board of directors believes Broadcom’s offer undervalues their company. Meanwhile, Qualcomm is trying to acquire NXP for $38 billion but NXP’s shareholders are reluctant. Its own board similarly thinks that the offer undervalues the company and NXP’s shares were trading above Qualcomm’s offer. Broadcom doesn’t care about the outcome of that deal – it has stated that it wants to acquire Qualcomm with or without NXP. More importantly, Broadcom’s CEO is allegedly willing to renegotiate the deal that Apple has with Qualcomm for modems used in iPhones and iPads. Apple is currently suing because it believes it is overpaying for those modems. Apple is already buying chips from Broadcom (e.g. for Wi-Fi connectivity). GG. Not a good deal seeing cheap phones go expensive hehe. Lol, the biggest ARM semi conductor company the world, with thousands of exclusive patents in the soc and modem space. Turd, lol.